The Department of Molecular Biosciences, The Wenner-Gren Institute (MBW) was officially launched on January 1, 2013, the result of merging the Department of Genetics, Microbiology and Toxicology, the Department of Molecular Biology and Functional Genomics, and the Wenner-Gren Institute for Experimental Biology. 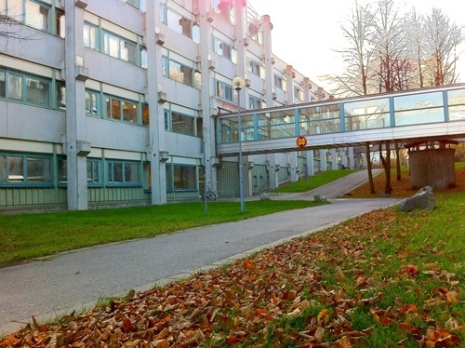 MBW is housed in the Arrhenius Laboratories located at the northern end of the Frescati Campus of Stockholm University. Together with neighboring biology and chemistry departments, MBW contributes to the strong traditionof academic excellence of the Natural Science Faculty at Stockholm University. MBW unites more than 30 independent research groups and currently has a staff of around 170, of which 65 are Ph.D. students. The research groups strive towards the common goal of solving the mysteries of life by addressing fundamental biological problems in infection- and immunobiology, integrative biology and molecular cell biology. Experimental rather than descriptive biology is at the heart of a broad range of internationally recognized research projects, characteristically focused on understanding the function of genes and cells in tissues and organisms. Also, several research groups participate in clinical studies via well-established collaborations in the Stockholm area and abroad. The heavy research orientation of the department provides a solid foundation for its educational programs, and MBW offers a range of courses at both the undergraduate, including Master courses, and graduate (Ph.D.) levels. The educational possibilities are significantly enhanced by the highly interactive environment of MBW with shared facilities and equipment. Extensive intergroup interactions contribute positively to the intellectual atmosphere with concomitant synergistic effects that facilitate teaching, laboratory training and experimental research. There is ample opportunities for personal development, and importantly for young promising researchers to achieve the ultimate goal of becoming independent scientists.